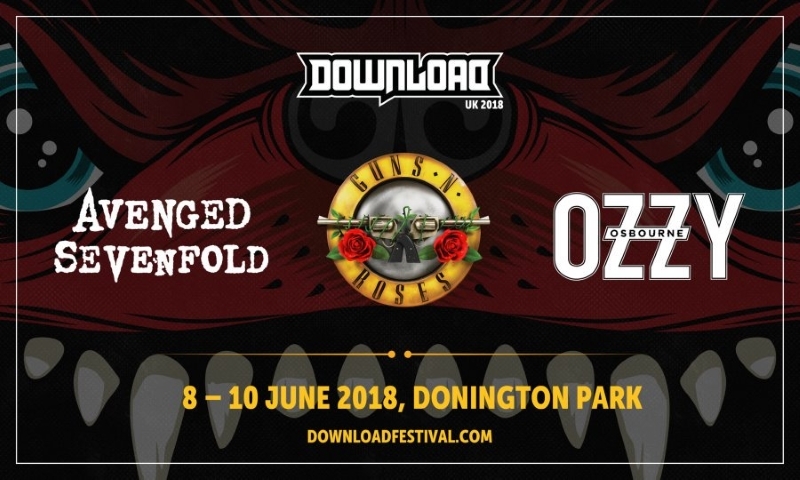 Once again, it was time for the annual pilgrimage to the hallowed turf of Donington Park for the Download Festival’s 2018 instalment. Team Rock Sins was once again out in force across the festival, meaning we were able to cover a huge amount of the 100+ bands on display over the weekend. As a result, we’ve broken our reviews down into some more manageable chunks, so our wonderful readers are not left scrolling from now until late into the night. We’re kicking things off with Friday’s Main Stage bands, so let’s get on with proceedings, starting with some theatrical metal! Having seen Swedish metallers Avatar (9) play numerous club shows in their early days and enjoyed their main stage opening slot in 2016, expectations were high for todays performance. Bursting out like a macabre jack in the box, and launching in to a twisted version of ‘A Statue Of A King’, the theatrical five piece are simply delightful. By all accounts, Dragonforce (5) on the Main Stage of Download Festival in what’s now relatively sunny weather should have been a guaranteed triumph. The power-metal heroes emerge and jump straight into a double-header of new cuts from 2017’s Reaching Into Infinity, but sadly, it quickly becomes apparent that things aren’t right from a technical standpoint, with a somewhat muddy mix putting a dampener on the band’s usually highly technical sound; and by the time they hit fan-favourite Cry Thunder, the band find themselves down an axeman as Herman Li’s guitar simply gives up the will to live mid-song. Frontman Marc Hudson does his best to cover of course, and a joking snippet of Queen anthem Another One Bites The Dust as the issues are resolved surely helps keep spirits somewhat high, but there’s no denying the effect such a drastic problem has had on the band’s overall set. Marmozets (8), on the other hand, suffer no such massive issues, and the Bingley five-piece seem absolutely on fire today, coming out to a sizeable crowd and immediately going for the throat. With a set pulling almost equally from their two studio albums, both the band and their audience seem massively up for it from the off, and why wouldn’t they when a song as massive as Play can simply be tossed out as an opener like nobody’s business? Frontwoman Becca Macintyre’s vocals have always been the centrepiece to Marmozets’ chaotic soundscapes, and here proves no exception as she deftly moves between ear-piercing shrieks and smooth melodic crooning on the likes of Meant To Be and Like A Battery from this year’s excellent sophomore album Knowing What You Know Now, alongside old-guard favourites like the slinky Move, Shake, Hide and the angular yet anthemic Why Do You Hate Me?, whilst the rest of the band pump out crunchy riff-heavy backing for the pit-starting masses to sink their teeth into. 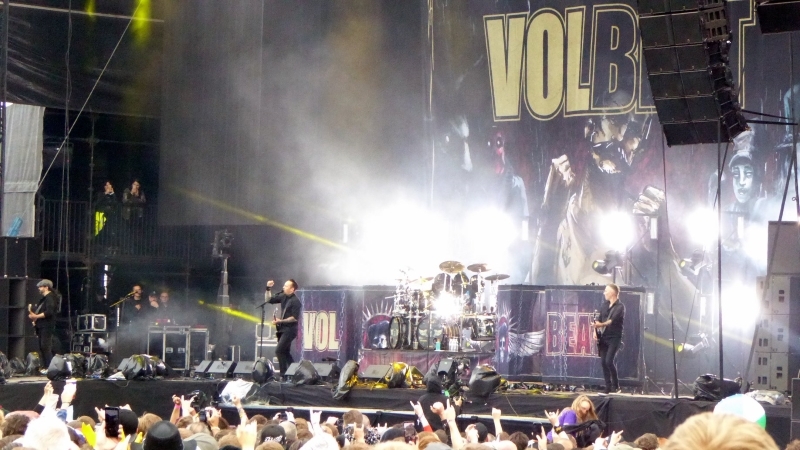 With a huge crowd assembling before them and the early evening sun shining in all it’s glory, Volbeat (7.5) were a most welcome sight. With an opening salvo that included many of their best tracks such The Devil’s Bleeding Crown, Lola Montez, Sad Man’s Tongue and Dead But Rising, the Danes (plus honorary Dane Rob Caggiano) were certainly not messing around. It’s a little bit difficult to know how to assess Bullet For My Valentine (6) in 2018. Generally as they have done throughout their multiple Download Festival appearances over the years, they draw an enormous crowd, seemingly eager to hear old favourites, but is that the extent of the interest? It seems then a brave move to kick off their set with a pair of new songs, which are met with an OK response, but it’s during the one-two punch of Your Betrayal and 4 Words To Choke Upon that the fields of Donington truly come alive. Frontman Matt Tuck seems very much up for proceedings, seemingly with a point to prove that Bullet do deserve this slot (and indeed, that he still harbours ambitions of Bullet one day headlining the festival, a point he makes at the end of their set). This is in complete contrast to Michael “Padge” Paget, who looks at times like he’s almost asleep, even when solo’ing his way through the likes of The Last Fight or riffing during Worthless. 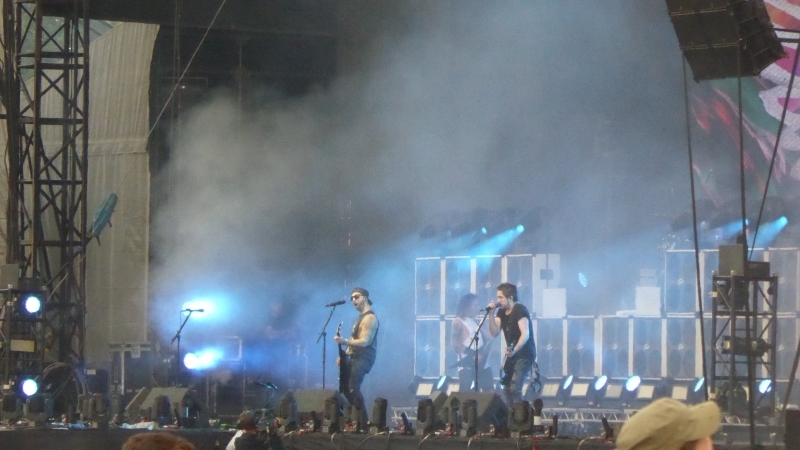 Having been up the front getting involved when Avenged Sevenfold (6) made their Download Festival debut back in 2006, my only real issue with them headlining the biggest UK rock event on the calendar in 2018 is that I feel like their albums have been getting steadily worse since that first appearance. Clearly this is a personal thing as previous opus Hail to the King propelled them to headliner status and recent snooze-a-thon The Stage has kept them there, but it makes me struggle to get excited for over an hour of them, particularly when they aren’t going to have anything like the stage show they brought on the Hail To The King cycle and have decided to open the show with latest title track The Stage. Fortunately, the crowd begins to liven up and becomes more active meaning spirits are high both on and off stage, meaning what could be a very lukewarm start to a gig with the opener and Afterlife, followed by Hail to the King becomes tolerable, particularly when frontman M. Shadows makes a comment about the sun going down, yet both he and guitarist/lead cheekbones Synyster Gates are still sporting sunglasses – the big rock stars! The set itself is rather up and down unfortunately and even bassist Johnny Christ can’t ooze enough cool to stop So Far Away from seeming dull, particularly when played after the pyro filled Buried Alive. The biggest surprises come after metal by numbers hit Nightmare when the band pull out rarely aired Eternal Rest from Waking The Fallen, which is an exciting moment right up until the realisation that Shadows can’t (or won’t) do that style of vocal anymore and the track just doesn’t sound as good. Thank goodness then that their next choice of song is the even rarer M.I.A. 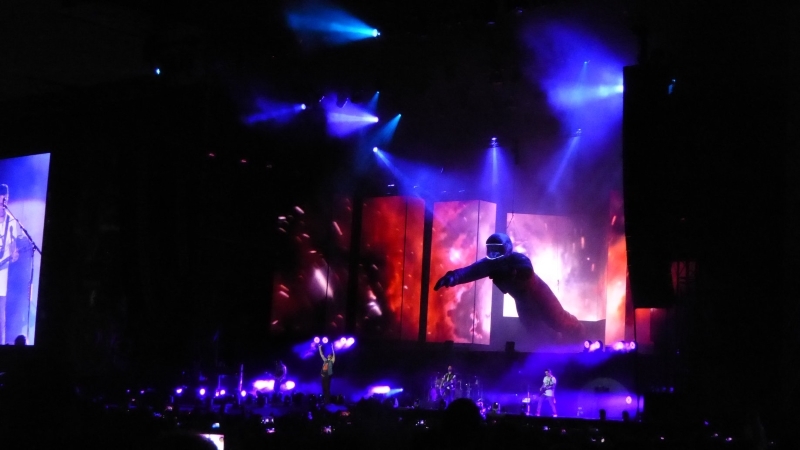 from City of Evil and it sounds great on the big stage, but then the set drops back down with another cut from the latest album (Higher) and a dull cover of Pink Floyd’s Wish You Were Here. 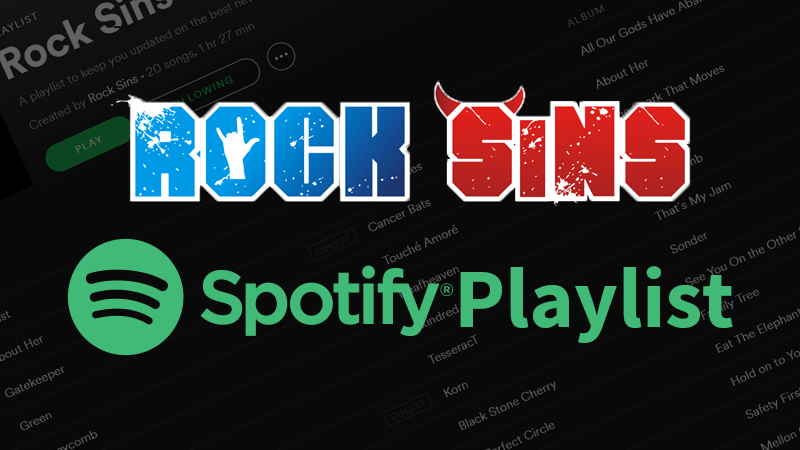 Stay tuned to Rock Sins for lots more coverage of Download 2018, both from Friday’s other stages and across the whole weekend! Words by Lisa Fox (LF), Jack Fermor-Worrell (JFW), Jamie Giberti (JG) and Greg Latham (GL). Photos by Jamie Giberti. Please do not use or reproduce without asking for permission.